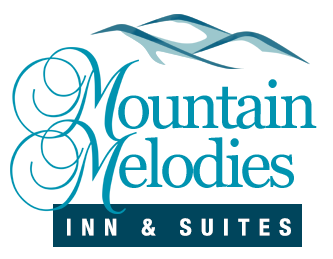 Our honeymoon suite has everything you could need for a laid back but intimate stay in the Smokies. Our suite has a mini fridge for your convenience. You can keep snacks in there, drinks, or champagne to celebrate with. At night, your suite can have a wonderful, romantic hue when you have the fireplace on. After fun filled days exploring Pigeon Forge and the Smokies you can come back to your room to soak in a jacuzzi tub. You can let the warm water work it’s magic on your muscles and nerves, after all a honeymoon is about relaxing with the one you love. We also offer free wireless internet. You can let your family know how things are going, and post photos to social media to let your friends see how your adventure in the Smokies is going! Honeymoons can be expensive. For some couples they would rather save on their hotel and spend more money doing fun things at their destination town. We are here to provide both, comfortable accommodations and an affordable price! Our specials page will show current specials and promotions going on that can be applied to your stay so you can save money with us! That money that you get to save on your stay can instead go to a romantic dinner for two at someplace like the Chop House in Pigeon Forge. If you are here on a honeymoon, chances are you’ll want to go out to enjoy local restaurants and attractions. Luckily, you’ll be near the best attractions in town when you stay at our Pigeon Forge hotel! You can spend hours at the Island in Pigeon Forge dining, shopping, and exploring! Have a some creative drinks at Margaritaville, cross the way to have a delicious dinner at the Timberwood Grill, and end the night relaxing by the fountains as they “dance” to colors and music in rhythm. Or if you are more an outdoors couple, you will be less than a thirty minute drive from the Great Smoky Mountains National Park! You two can spend your day exploring the park, having a picnic, and finding beautiful mountain views. If you are looking for comfortable and affordable accommodations for your honeymoon, our Pigeon Forge hotel can be that place for you! Check out rooms today to get the best price for your future honeymoon plans!